The brand new live DVD!… ‘The Noise Next Door – Noise In The Hood’ is the third DVD from the UK’s most exhilarating comedy act. 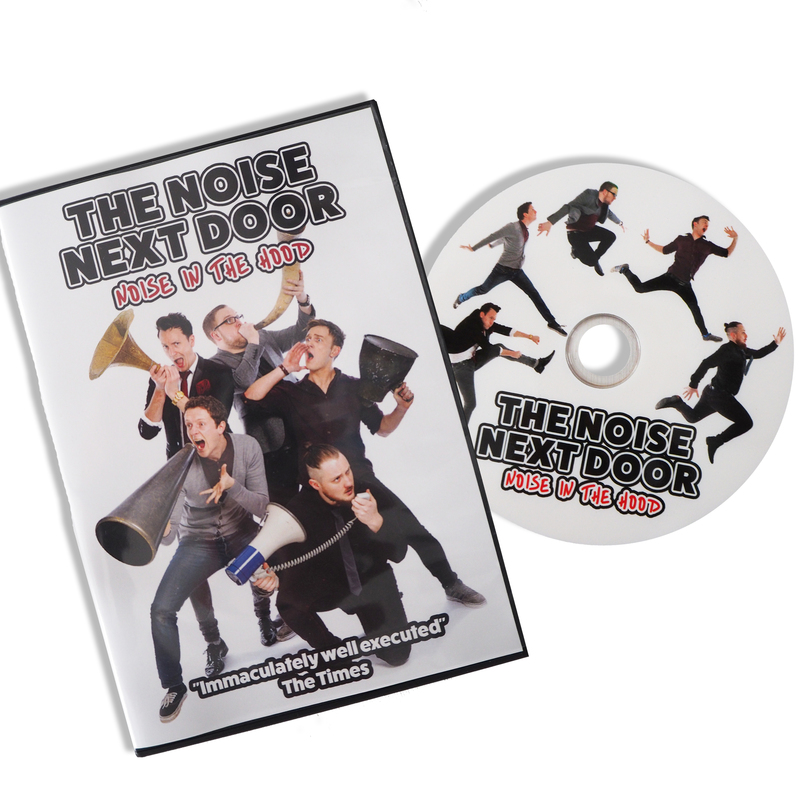 Filmed at London’s prestigious Leicester Square Theatre as part of the 2016 ‘Noise In The Hood’ national tour. A totally fresh show with brand new games, incredible new songs and some very special extras.